Home accessories and ornaments can give the impression of luxury to the home. Trick of glass can make attractive light reflection. The house will appeal if given the proper ornaments and accessories. One of them is by giving glass elements. 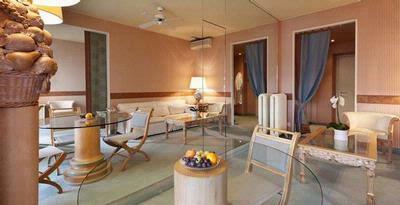 Glass can make impression of the room so luxurious and elegant. Using glass as a divider will make the room look very special, especially coupled with two shelves of the transverse horizontal and vertical in the center of glass making as hanging shelves.